Bavarian Body Works offers comprehensive automotive collision repair services to help get you back on the road. Located in mid-town Atlanta, we've been providing expert collision auto body repair services to our valued customers, and are recommended by numerous insurance companies. Our full service auto body shop provides a wide variety of collision repair services that will bring your vehicle back to its pre-accident condition. 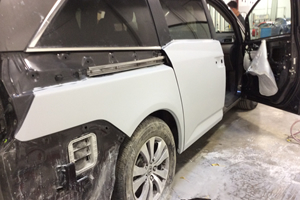 From repairing minor door dings, dents and scrapes, to fender benders, auto body reconstruction and auto painting, Bavarian Body Works provides everything required to get your vehicle back on the road. We are proud to offer quality workmanship and our guarantee on all of our collision auto body repair services. Everything we offer, from scratch and dent repair, to automotive painting, to fenders and bumper repair, is covered by our guarantee. At Bavarian Body Works, customer satisfaction is our primary objective. We help you with the insurance company process, as well as assisting you with towing services and providing temporary transportation while your vehicle is being repaired. Bavarian Body Works is the source for quality collision auto body repair services in Atlanta. 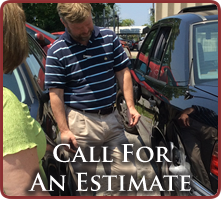 Contact us today for a free auto body repair estimate.